Spark Space is a digital play space and homework help center for kids and teens at the Central Point Library with cutting edge resources in science, technology, engineering, math, and digital arts. It will empower young minds to find their spark and connect with their passions while encouraging play and providing nurturing relationships. 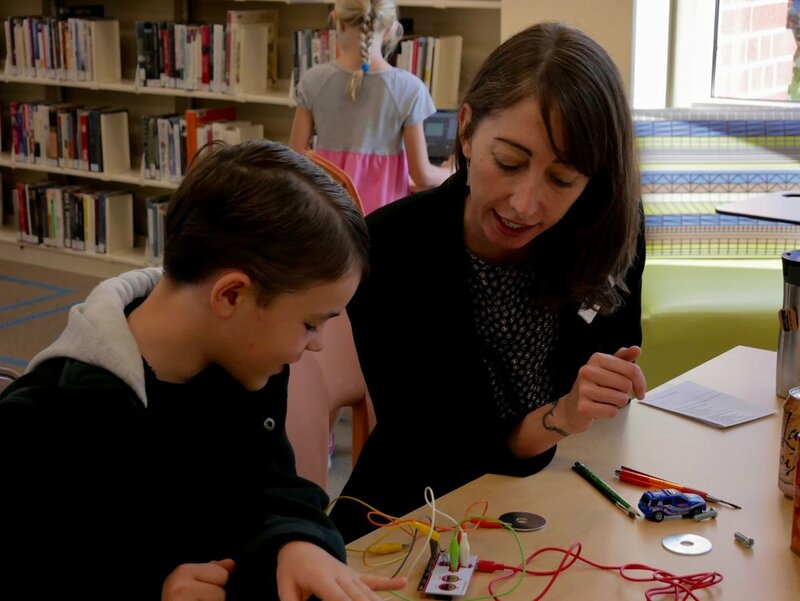 The first of its kind in the Rogue Valley, Spark Space provides free access to digital stations featuring music, video, digital arts, writing, coding, and robotics tools for K-12 students. Spark Space will give kids and teens the skills and tools they need to thrive in a changing society. Free homework help from staff and volunteers will support them every step of the way. Serious fun, but also serious learning in electronics, math, computational thinking, and more. 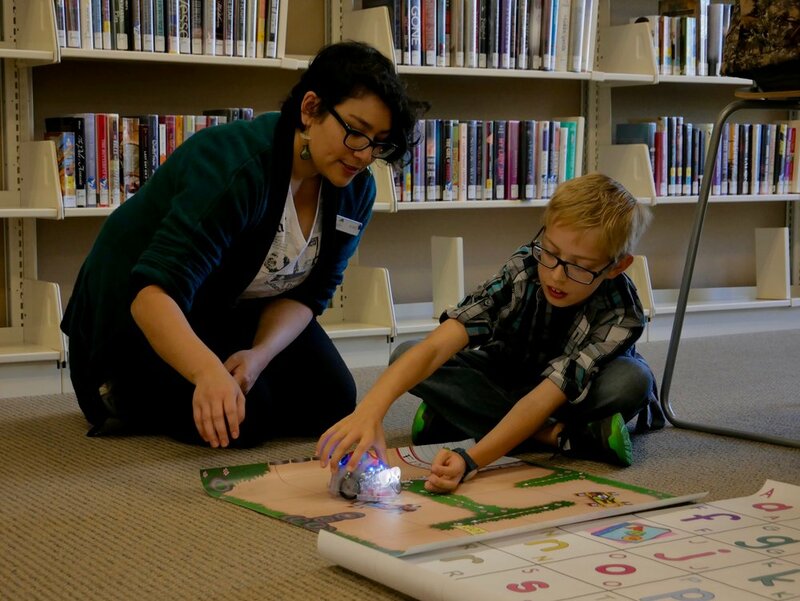 When programming a robot, kids get instant feedback on whether their code is successful. Spark Space has robots for all ages and skill levels, from Blue-Bots and Makey Makey to The Finch Robot and Arduino Circuit Kits. With access to Spark Space creative design tools—drawing tablets, Go-Pro style cameras, digital microphones, Hemingway Editor, and the full Adobe Creative Suite—the possibilities for creative expression (and learning) are limitless! Spark Space offers free homework help from staff and volunteers, along with access to the Internet, computers, tablets, charging stations, color printing, and resources for independent learning. Leapfrog gaming/educational tablets are available for younger kids to use while older siblings work on homework.